AJX.Inc DBA GOODPRICE.COM is a leading purveyor of exquisite of massage chairs. Our production presently introduces 2 conceptual frameworks: Digital and Pragmatism. AJX.Inc is one of the fewest companies in the industry to provide the breadth and depth of selections and after-sales service to its customers. We strive to become a true embodiment of ingenuity combined with diligent workmanship. Our company has traveled along the way with massage chairs since 1994. 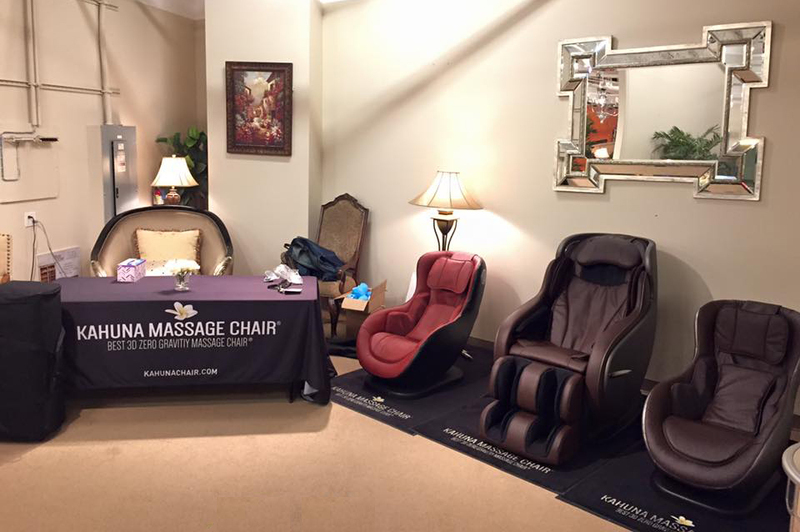 We have had achieved top-tier results from product development to distribution with our previous massage chairs. After making strenuous efforts to broaden arrays of traditional massage chairs, our new massage chairs our now on the market. This transition marks a monumental step forward in terms of functionality and durability. Below is our core underlying principles for our business philosophy. We are proud to introduce our Massage chairs that exceed your expectations and supersede any pitfalls hidden behind its popularity. Popularity often hinders us from selectively choosing the right product. The public is now acutely aware of such products that merely linger on its nominal name. Our goal in this production was to become a trailblazer to create niche markets, which in essence is about customer’s selective needs. Our massage chairs provide transformative performance, which surpasses the existing concept of quality at an unprecedented level. As your body adjusts to quintessential serenity, you’ll be captured by your inner fountain of calmness. Its symphonic waves will touch the deeper muscle tissues, while releasing and melting your muscles simultaneously. Our products are distinctively designed to meet your selective taste for higher quality. We extensively studied correlations associated with the performance and services, and its’ impact on one another. We found a causal link that contributed to the outcome, and that was customer’s satisfaction. It is a large phenomenon that all business is subject to and it is positive yardsticks that alter the reactions of mainstream. Hence, we believe that customer’s satisfaction is not only measured by the quality of performance, but also by the quality of relationships. With that said, we appreciate once-in a lifetime purchase as much as repeated purchases because of the fact that your choice of quality arises out of easement and trust that you have placed in us. We consider customer’s satisfaction as tantamount to your trust; therefore, we exert “the best” in our products to create concrete products. Such concrete products of ours not only potentiate great level of efficiency but are feasible for a long term use. You, customers, are our vision and guiding principles for our future. We refuse to withhold ourselves from your valuable inputs for improvement. In an effort to compass above all embedded attributes of massage chairs and to focus on the core elements that are too often overlooked, we concentrated on implementing assurance and reliability. From manufacturing goods that meet the highest standards of ethics to providing individualized support for your needs, we want to assure you that you can rely on us. We are agile and flexible when it comes to providing you with highly customized services because each customer’s needs and expectations can vary on a continuum. It is in our best interest to maximize the value of your investment. Ethics is our fundamental value that sets forth our business practice. Our products position reflects the reduced substantial burdens on customers. Our ethics solemnly checks and balances on moral duty we have toward customers. One of major moral duties is to prohibit price exploitation to sway customers. We provide customers with tangible information on our products, making permissible for them to marshal resources to analyze our products before making a valuable purchase. We do not uphold practices that impose infringement on customer’s choice, nor do we manipulate public’s perception to create profits. Ethics is a binding requisite that validates our business alignment in all aspects, and it is the ground on which we endorse corporate social responsibility.